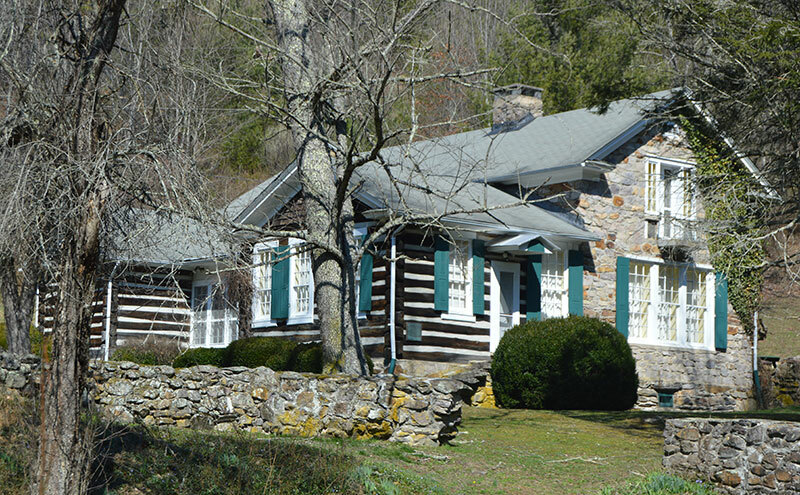 Photo: Ripshin (the Sherwood Anderson Farm), circa 1925, Ripshin and Laurel Creek Roads, Troutdale, VA. A National Historic Landmark; Listed on the National Register of Historic Places in 1971. Photographed by User:Nyttend (own work), 2017, [cc0-by-1.0 (creativecommons.org/publicdomain/zero/1.0/deed.en], via Wikimedia Commons, accessed November, 2012. The Grayson County Courthouse is located at 129 Davis Street, Independence, VA 24348; phone: 276-773-2471. Grayson is home to the tallest mountain peaks in the State of Virginia.